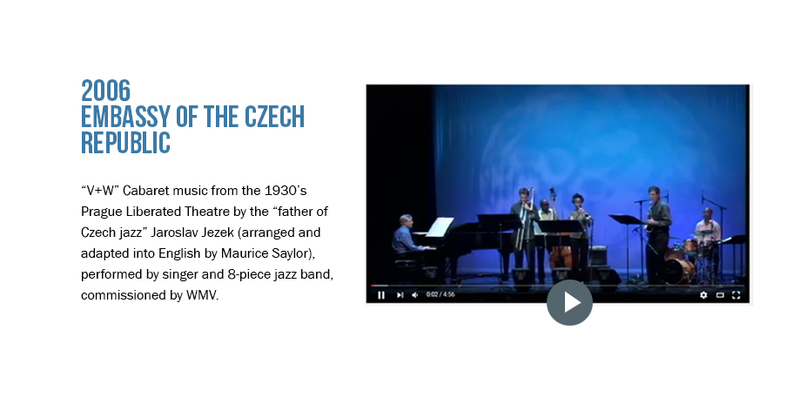 Washington Musica Viva (WMV) is dedicated to the performance of classical, contemporary, and jazz-based chamber music in intimate settings, bringing performers and audience close enough together to share an authentic musical experience. WMV often incorporates visual arts, poetry, and food in its productions. Washington Musica Viva is the non-profit arm of BannerArts, the husband and wife team of artist Marilyn Banner and pianist Carl Banner. The purpose of music is to reduce human isolation. It reminds us that we share this life together, much as Aristotle describes the role of theater. Music has always spoken to deep, non-verbal needs that can't easily be addressed in any other way. By reducing isolation, we foster a compassionate attitude, opening the mind to a larger view of life and the people around us. The mission of Washington Musica Viva is to bring people together to experience music in a way that permits music to perform this ancient function, as undiluted and simply as possible. Whereas Washington Musica Viva comes out of a Euro-classical tradition of chamber music, the thrust of its efforts has been to push past conventional boundaries. 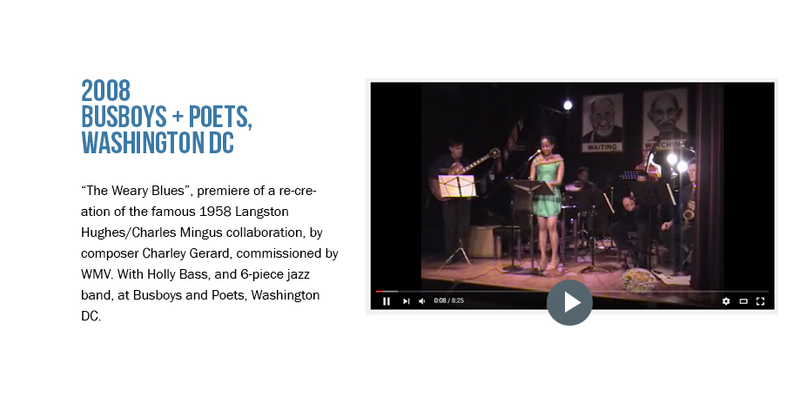 This has been accomplished by collaborations with jazz composers and artists, commissions of works that transcend convention, and performance of works from an extraordinary diversity of origins. In addition, and perhaps most significantly, under Banner's direction, classical works are interpreted as if freshly written, with a porosity and vulnerability to the present, and a full awareness of contemporary culture. "Classical" music means music that has been written down in some way so that other people can play it. According to tradition, "classical" music employs clean and precise intonation and rhythms, but this is not essential to its nature. "Jazz" means music which is often (but not always) improvised, relies heavily on syncopation and swing, and often utilizes flexible intonation. "Chamber music" means music suitable for small rooms and intimate audiences. "Contemporary" means music that has been written recently.